Cast iron soil systems: Traditional LCC & SimpleFIT are extremely hardwearing, typically lasting 50 years - Ideal for traditional style, heritage or listed properties. The LCC system, manufactured to BS416, uses a traditionally jointing method and is supplied in black bitumen finish. SimpleFIT incorporates all the features of a traditional LCC system but with push-fit jointing, making it easier to install and incorporate into modern drainage systems. Supplied in factory applied pre-painted black. Roof drainage solutions from the market leading Harmer: Aluminium Roof Outlets, Cast Iron Roof Outlets and Modulock raised paving/decking support pedestals. Ideal for traditional style, heritage or listed properties. Traditional cast iron soil systems are extremely hardwearing and typically last for at least 50 years. 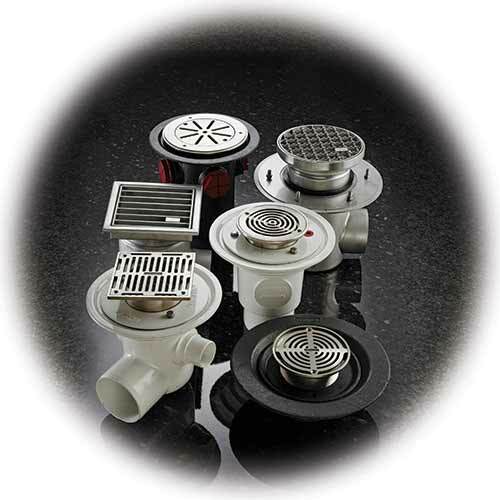 A high quality range of the most popular Cast Iron, Aluminium and Stainless steel floor drains. Call 0800 644 44 26 to order by phone. 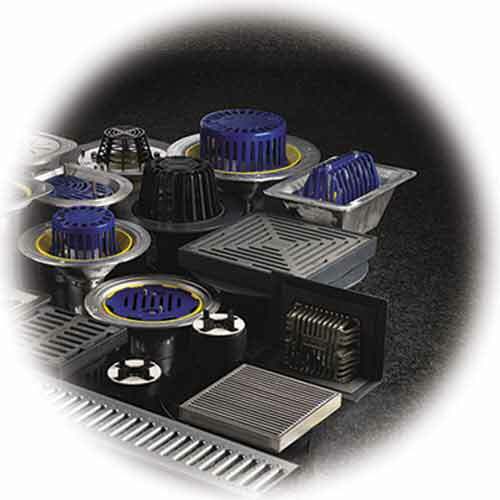 A range of roof drainage solutions from Harmer & Wade combining innovative engineering and high performance material.